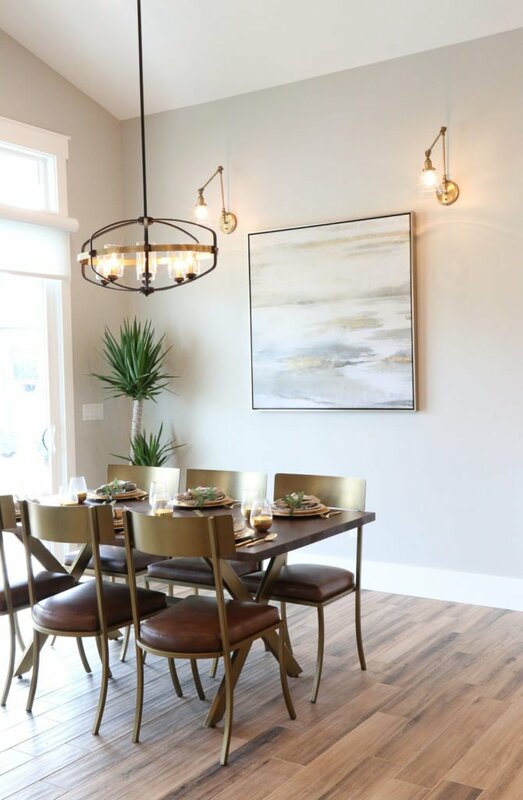 Pendant lights are a great way to show off high ceilings and there is a style for practically every room in your house from retro, to industrial to glam. 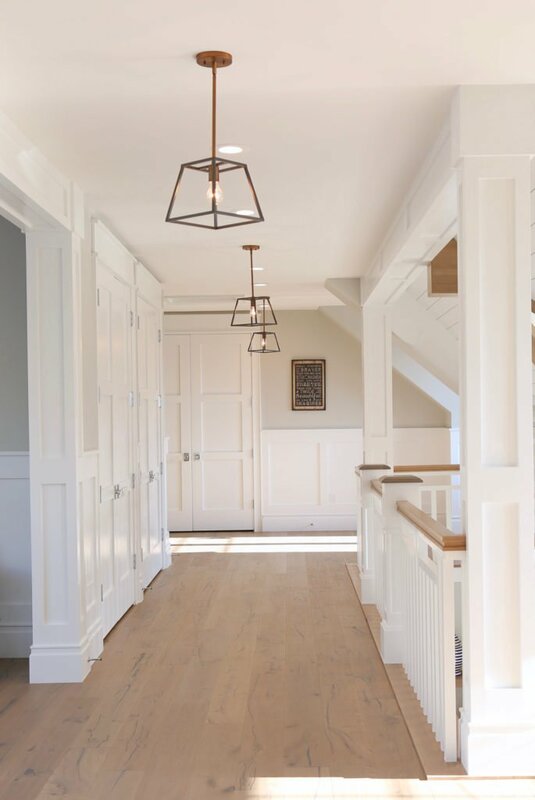 If your ceiling is eight feet high, no worries. 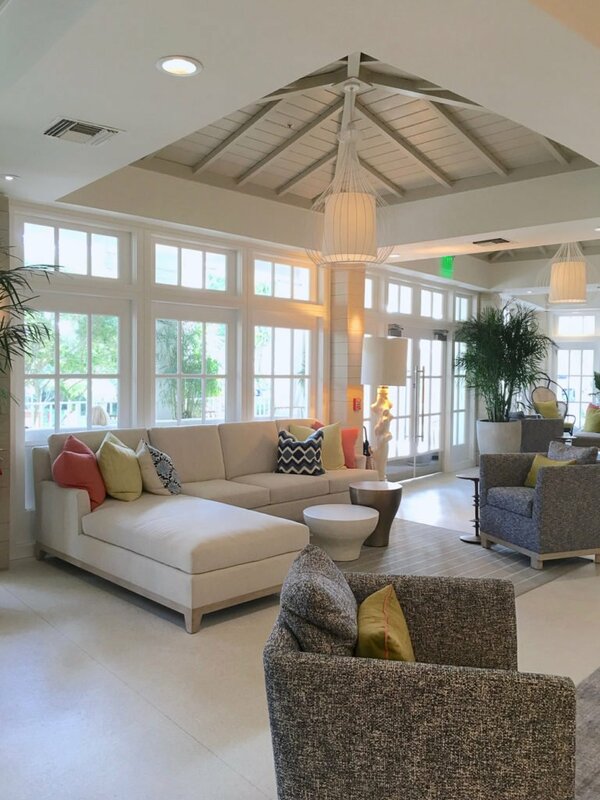 Just pick the right light for your space and don’t drop it down as far. 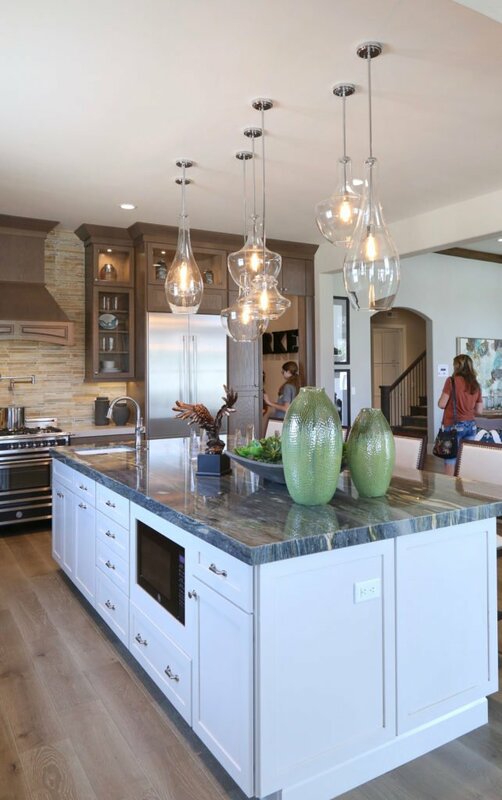 Glass pendant lights really do add to this dream kitchen. 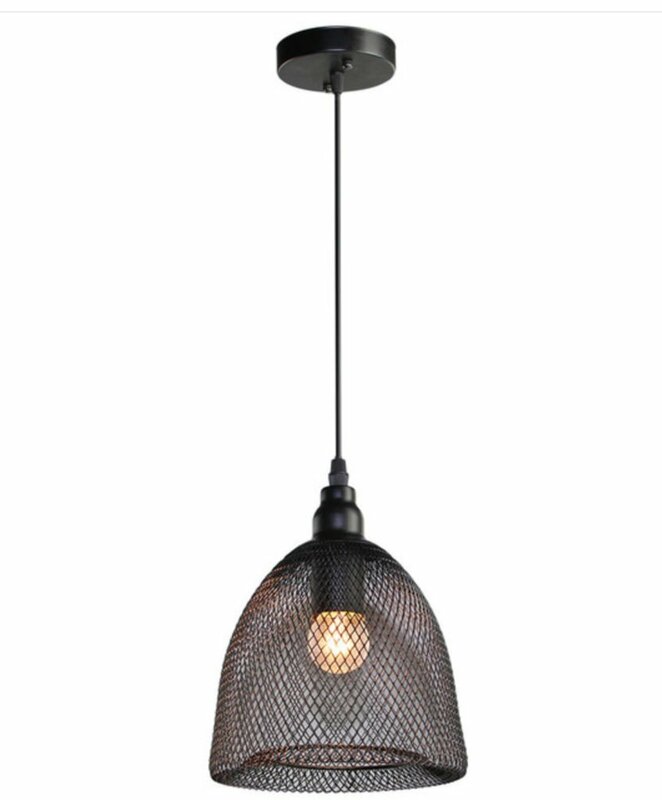 We found a similar pendant for a great deal at Target. 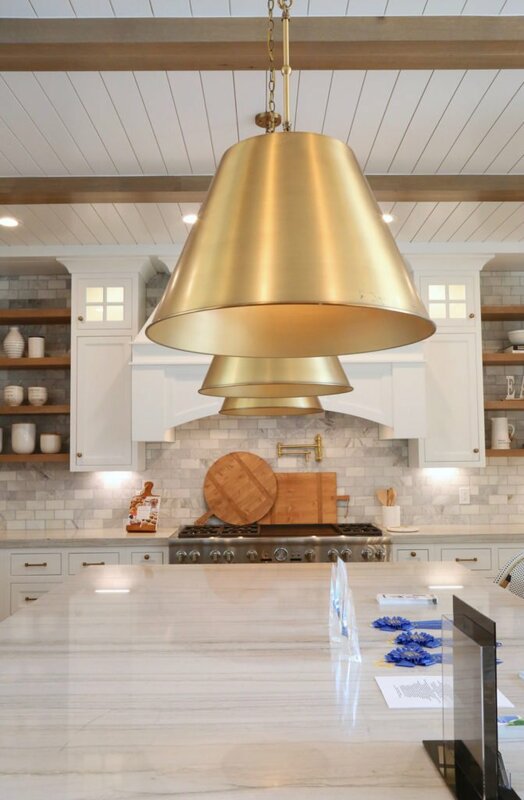 Brass metal pendant lights bring warmth and a touch of glitz to a kitchen. 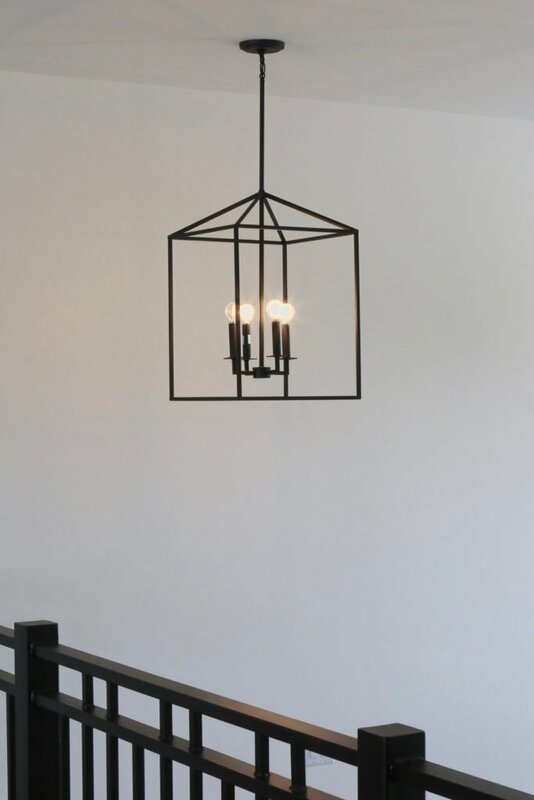 It is a great way to include metal fixtures without creating an industrial look. 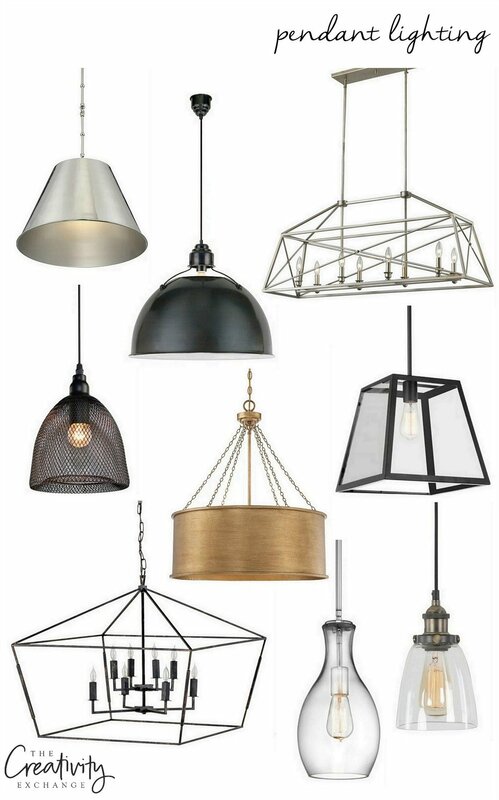 Shades of Light carries these shade pendants. 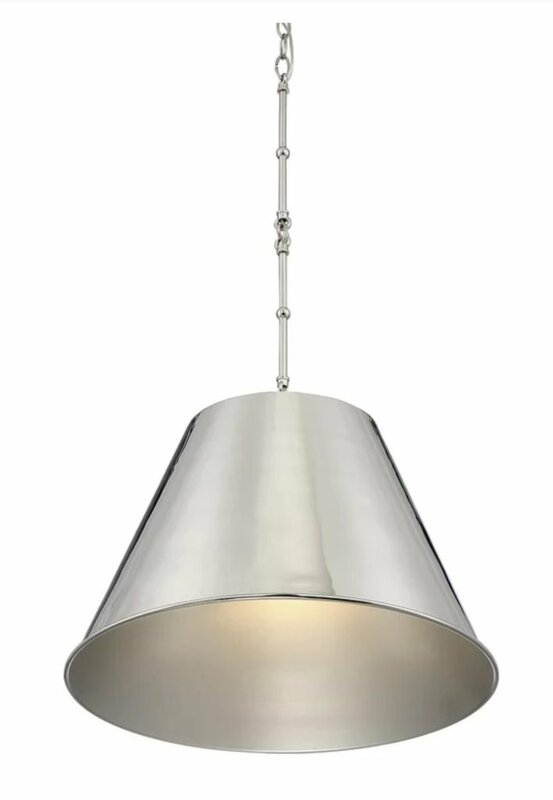 We found this polished nickel pendant light via Wayfair for a cooler look. 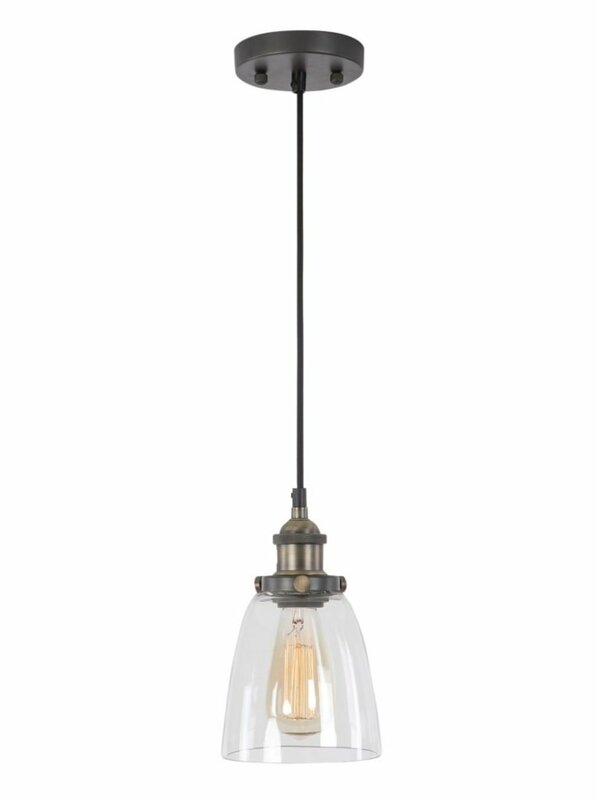 Rich looking oiled bronze pendant lighting. 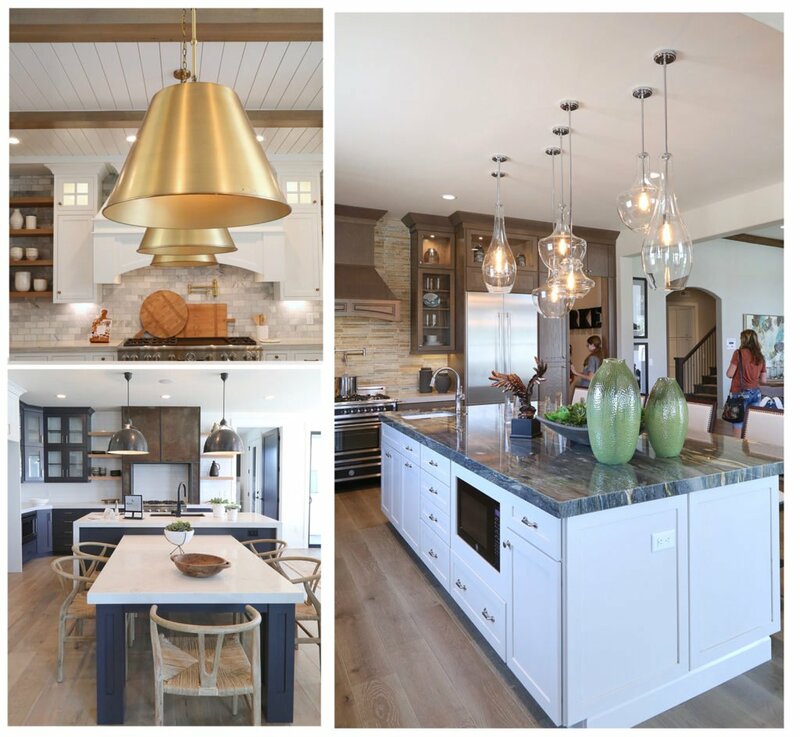 If you have a large kitchen, these pendant lights make a wonderful lighting statement, farmhouse meets industrial. 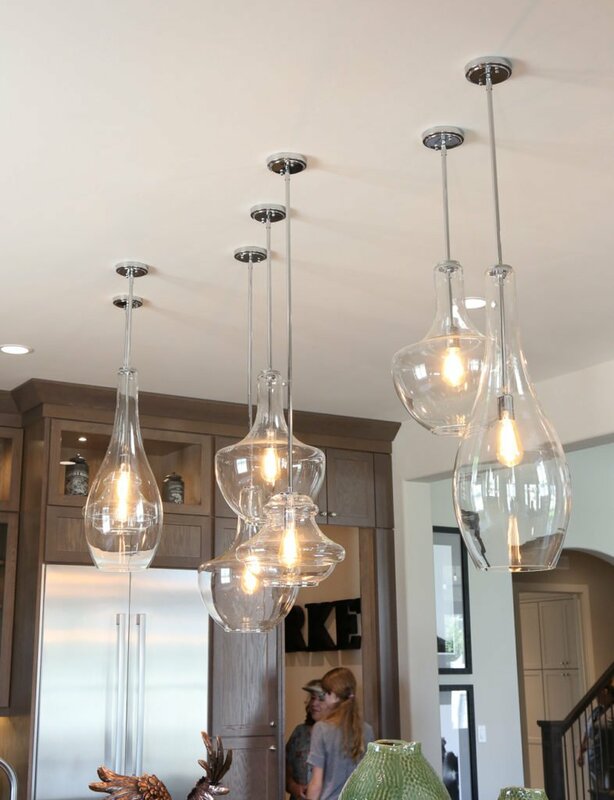 A cluster of glass pendant lights hung at different heights creates a beautiful chandelier effect or group a series of large glass pendants to make a stunning statement for your kitchen. 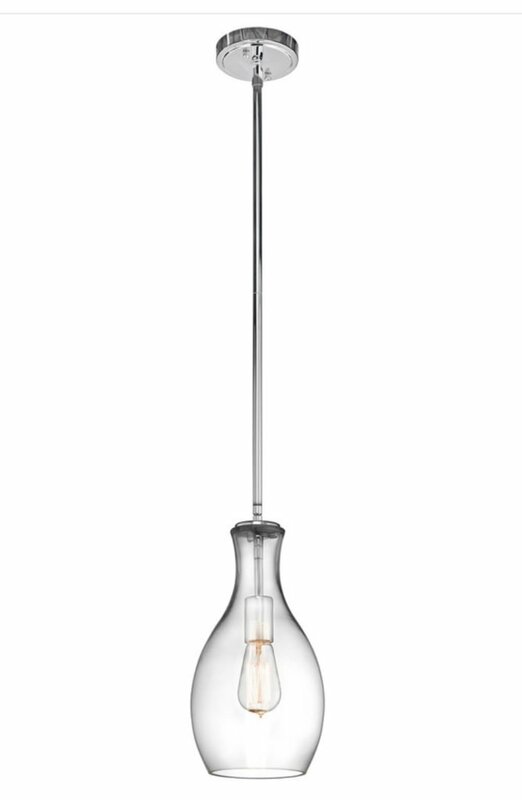 I love that there are so many different vintage-inspired light bulbs to choose from, including LED versions. 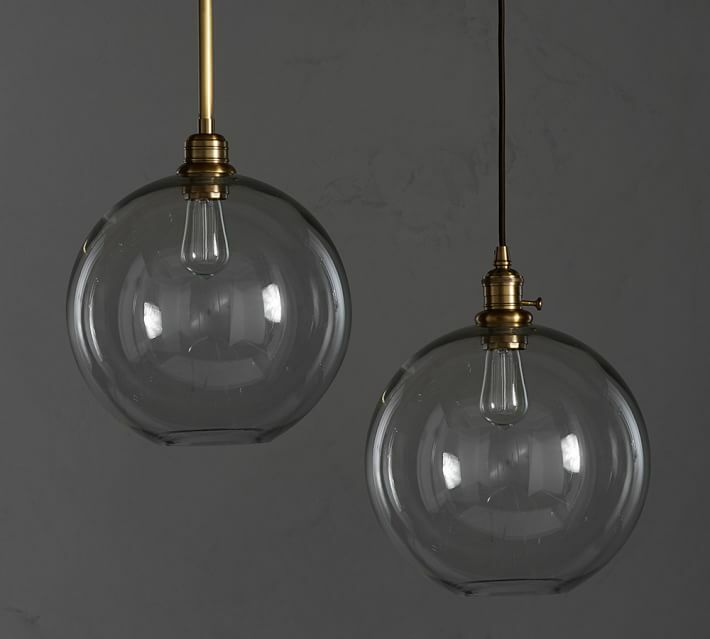 Loving the retro globe pendants. 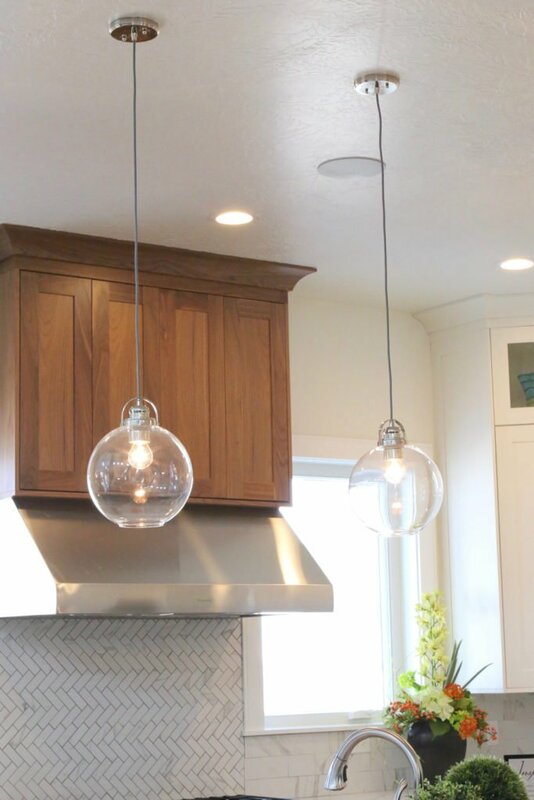 I would look for globe lights to go with them. There are so many choices out there. 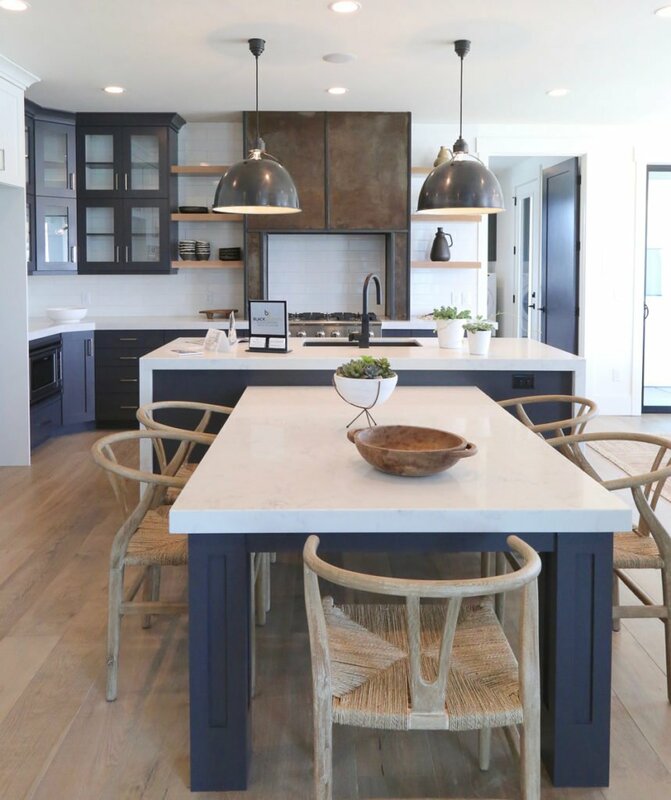 We found Pottery Barn‘s classic globe pendant with lots of finish options to fit any kitchen to get you started on your search. 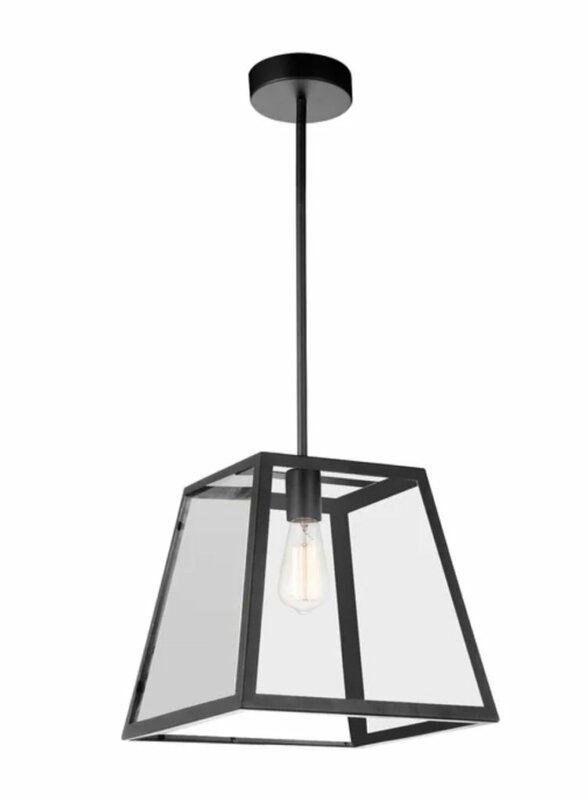 Fresnel lighting! 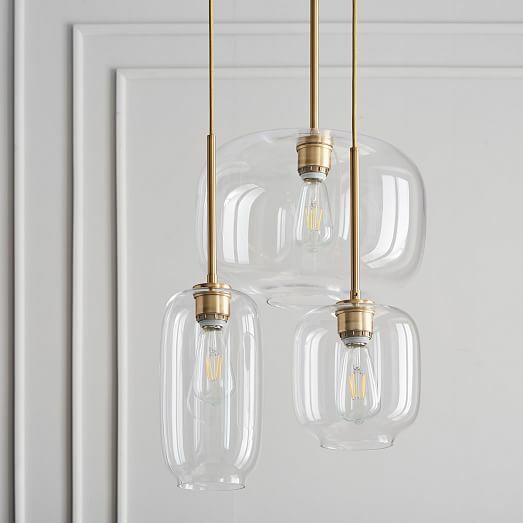 As a photographer, I am totally in love with these lights. Retro-modern. 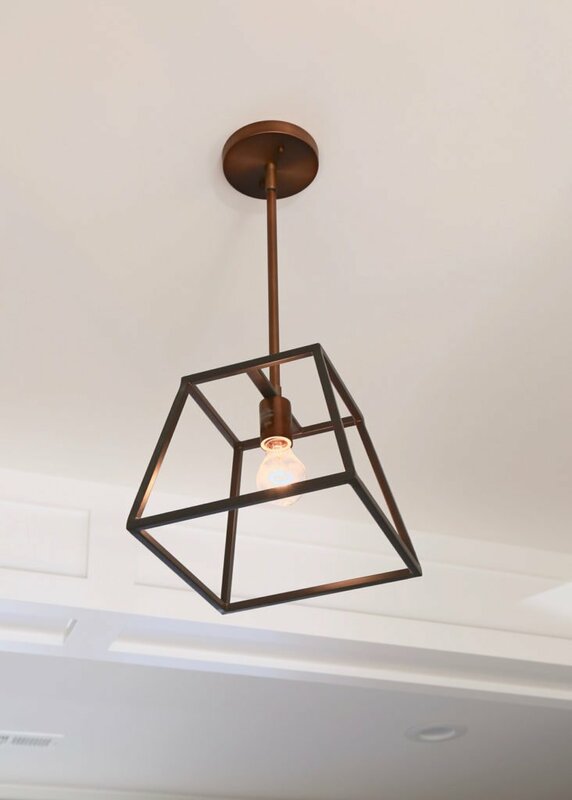 Lantern pendants? 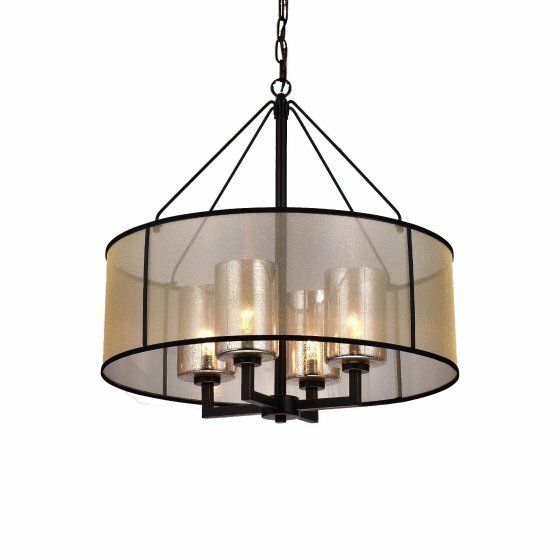 Chandeliers? 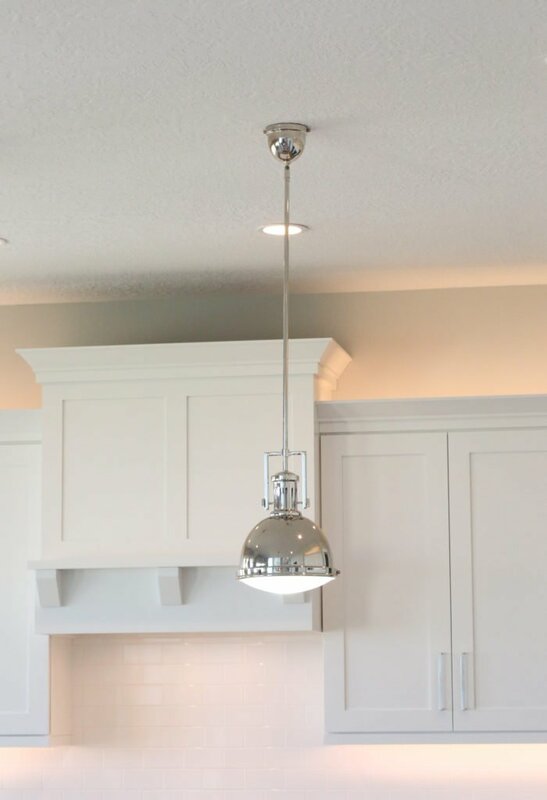 Chandeliers seems a little too formal of a word choice for the kitchen. 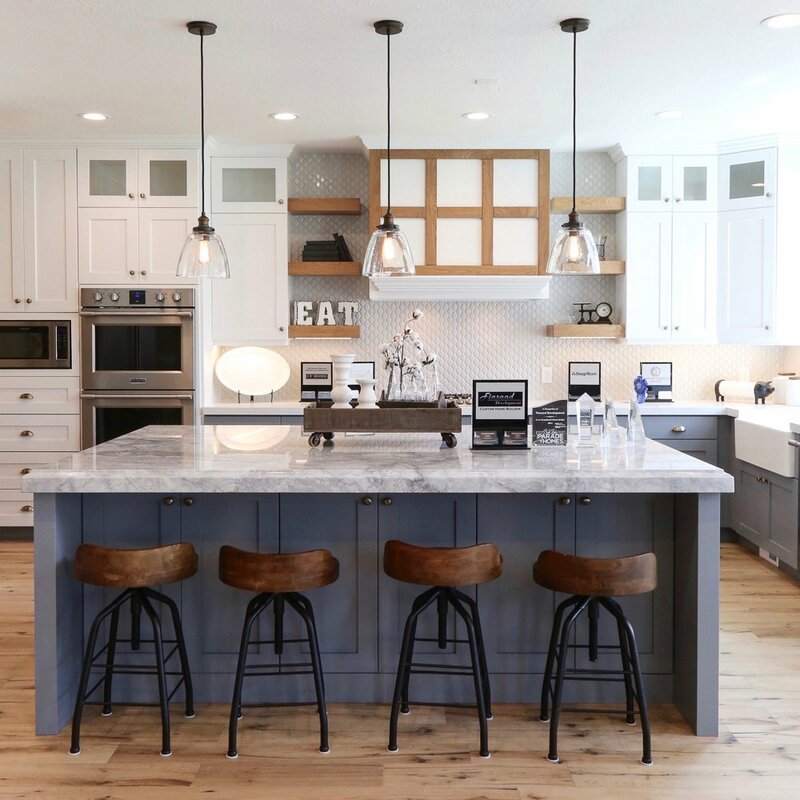 But the look is elegant and matched with recessed lighting (you should see what you’re cooking) is a stylish touch to a kitchen. 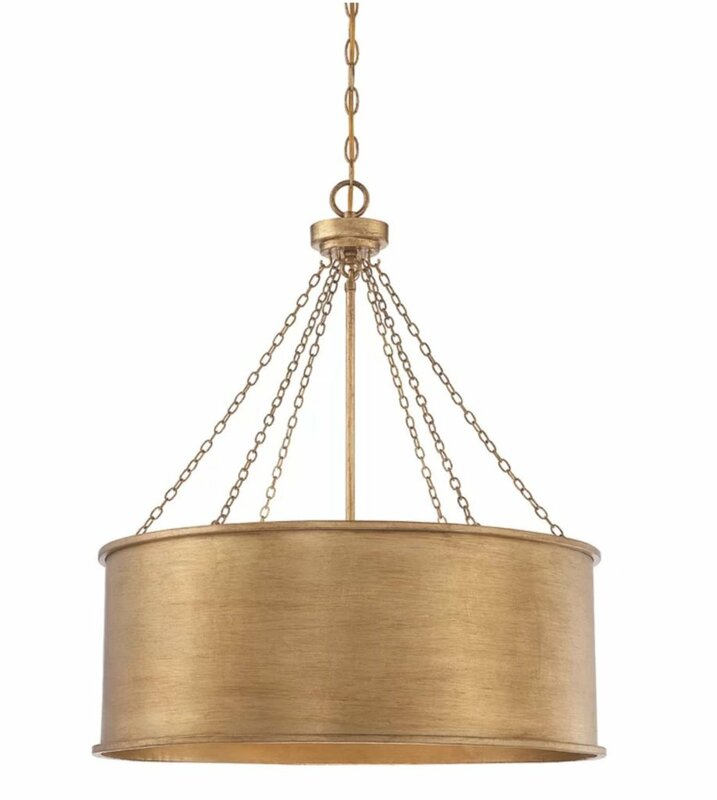 Found this mini pendant on Wayfair. 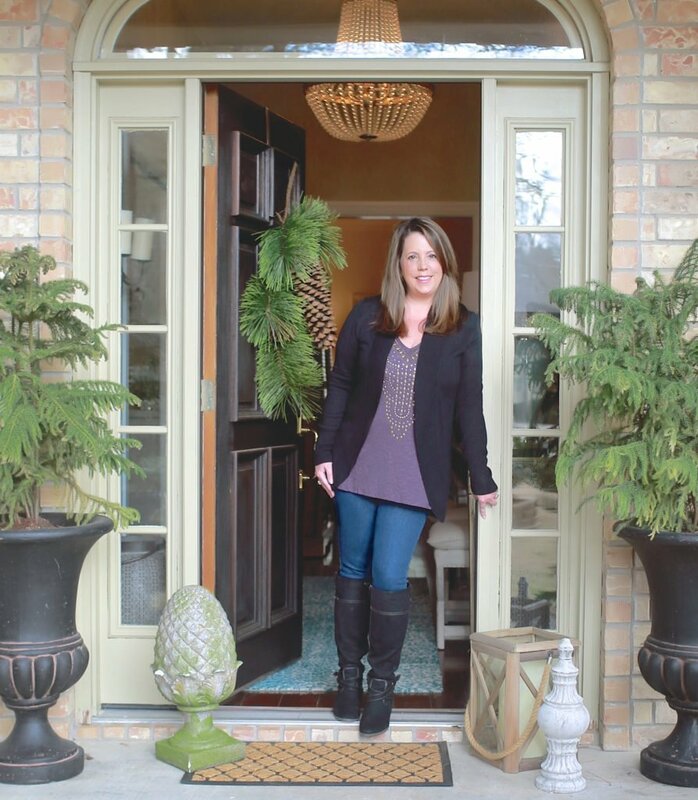 Are you fortunate to have a tall foyer or entrance hall? 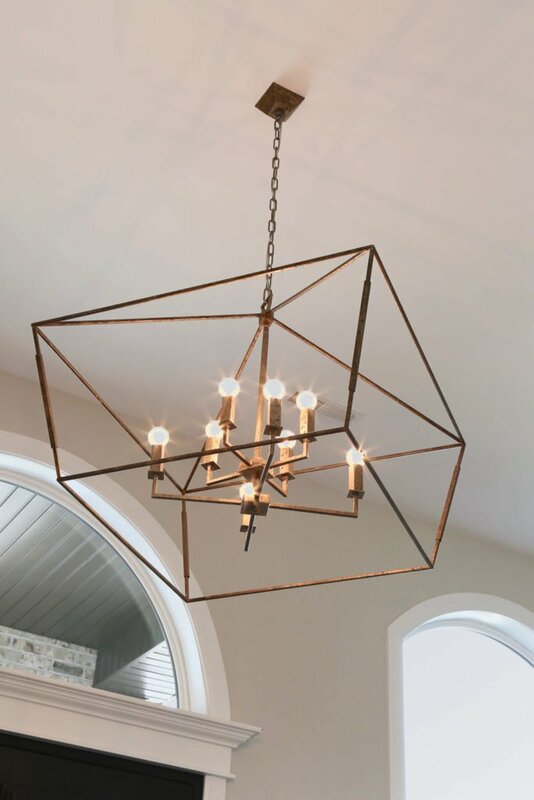 It is a perfect place for a lighting statement. 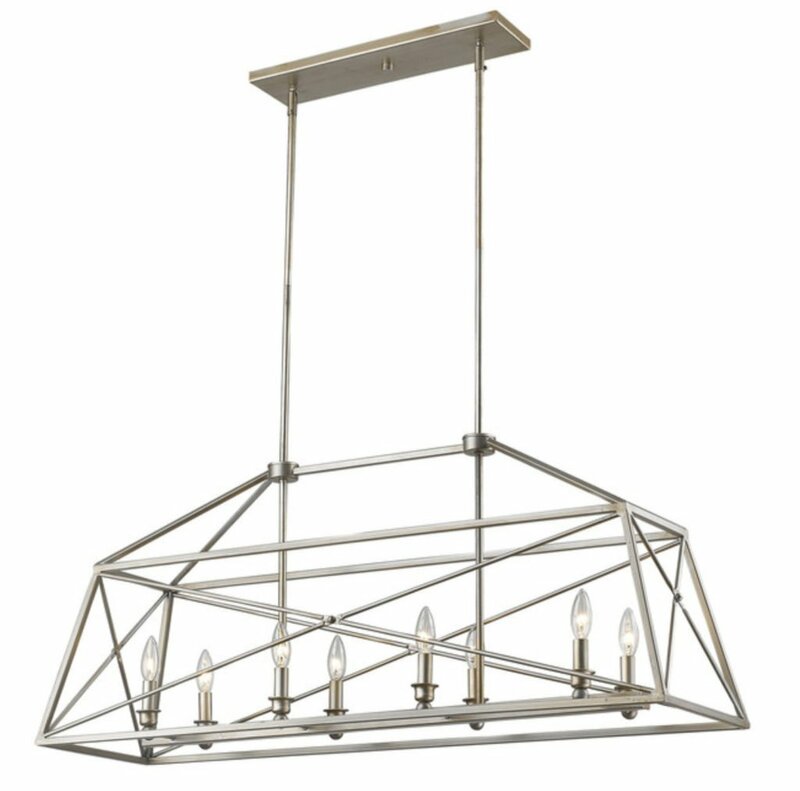 Hang a chandelier without going all glitz and glam and be simply elegant. 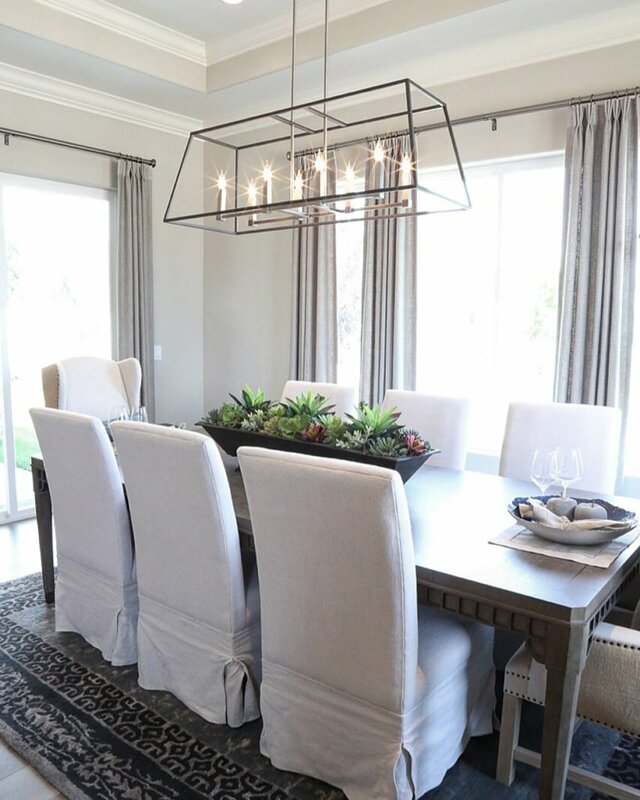 Open chandelier brings a light atmosphere into the dining room. Large does not mean overwhelming or heavy. 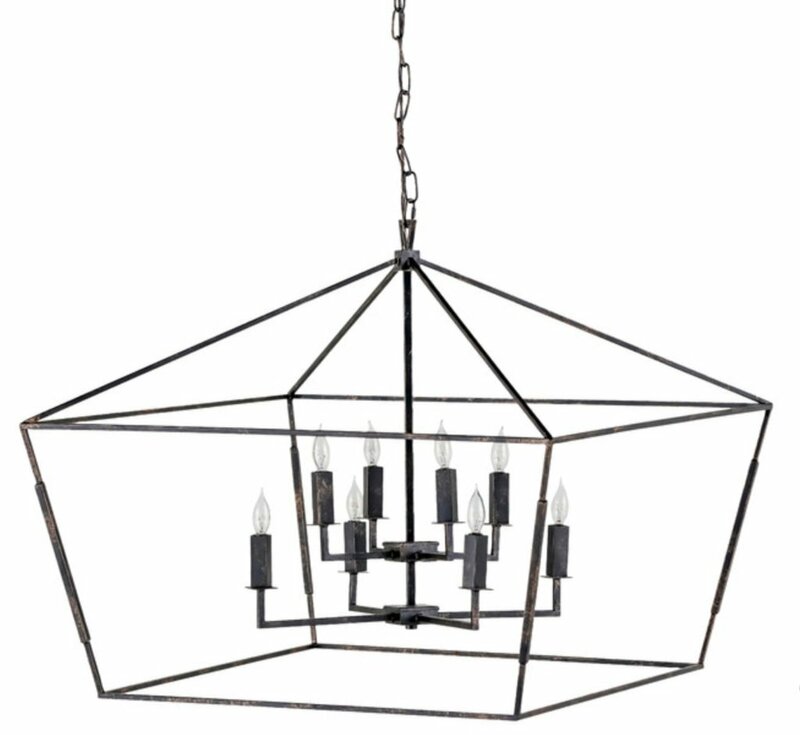 Even if your dining room is on the smaller side, try a chandelier like this one. 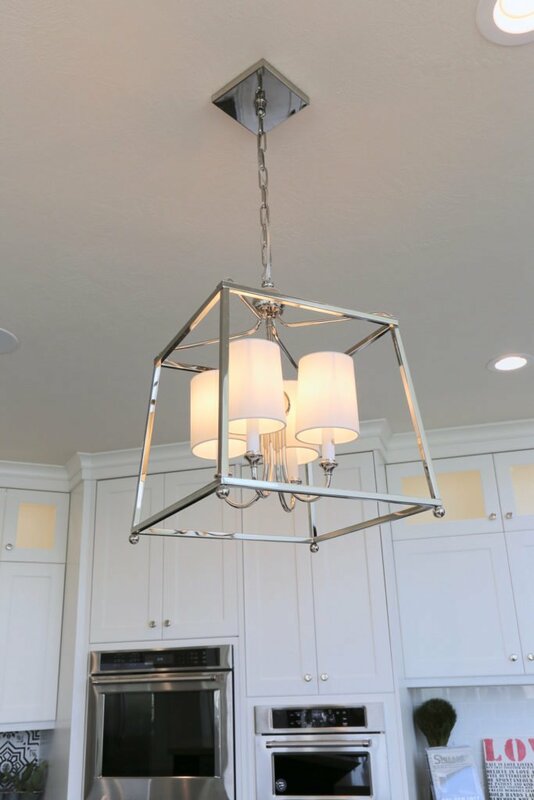 Wire chandeliers from the Naples Florida Parade of Homes tour. 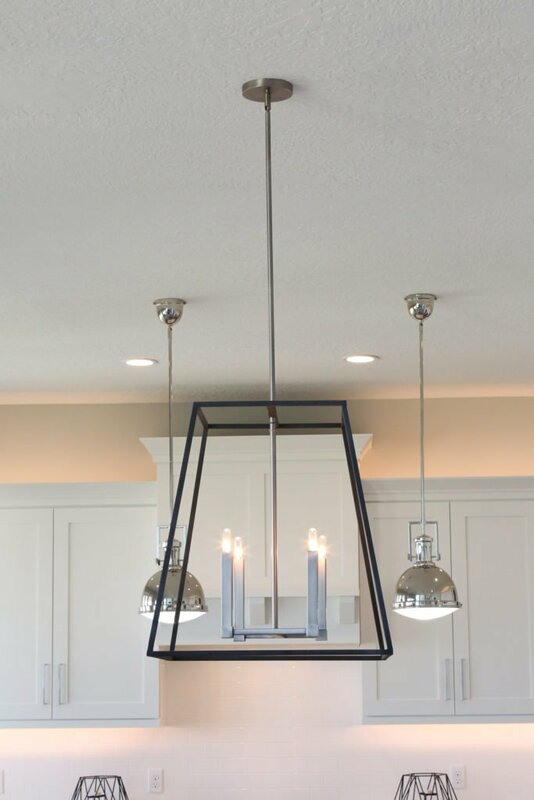 Could not find anything similar to these wire chandeliers with inner shades – if you do, please share in the comments! 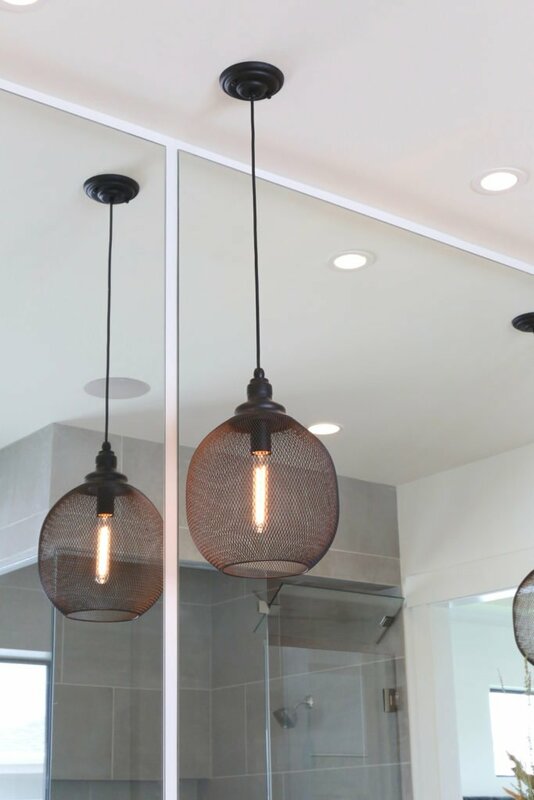 When I saw this mesh cage light in the bathroom I had take it in for a moment. 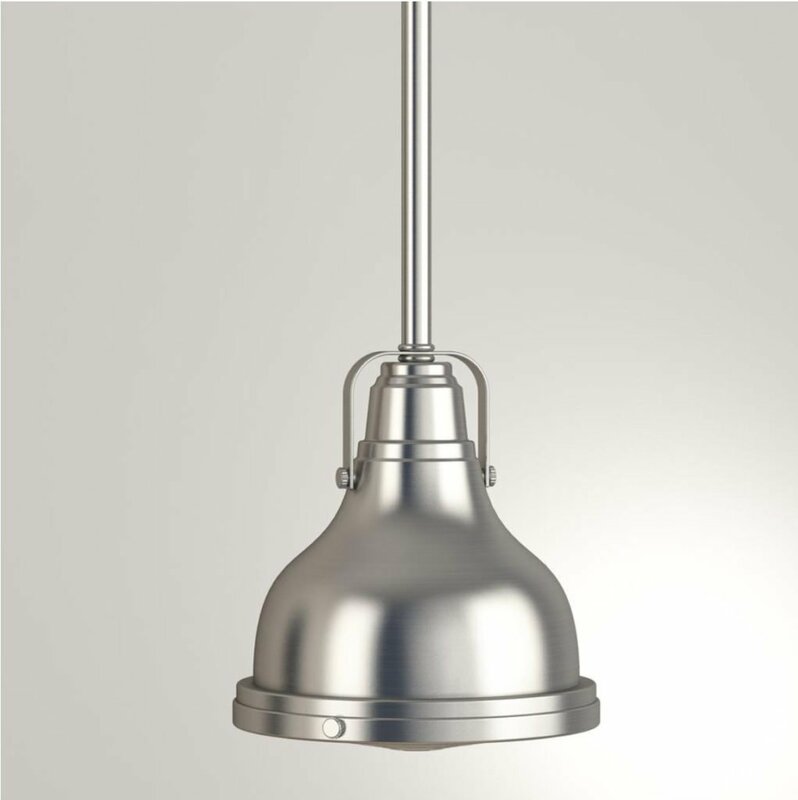 It makes a bold statement and you would not have to worry about condensation on the fixture. Why not? Drum lighting. 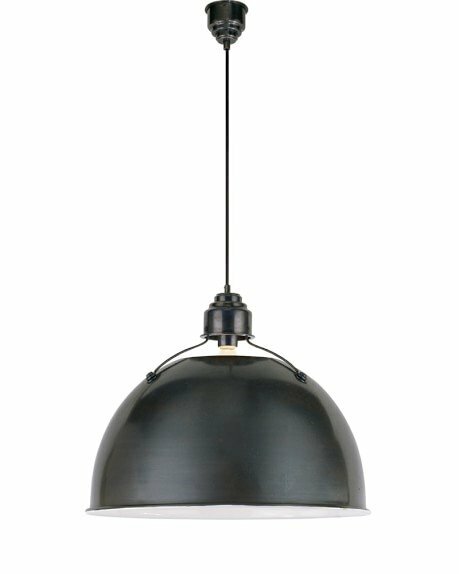 You might just have to plan your bedroom redesign around this light. It is gorgeous. 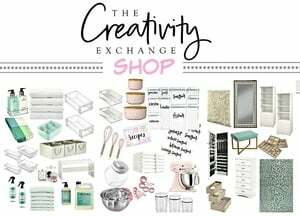 Hope you have found some inspiration. 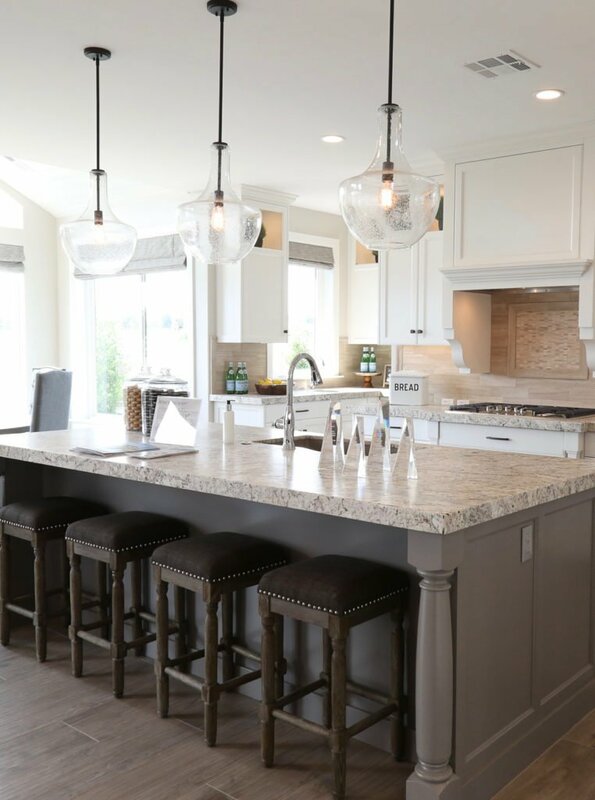 Lighting is such a key part of home design and simply changing out a fixture, adding or subtracting wattage, can create a whole new mood to a room.